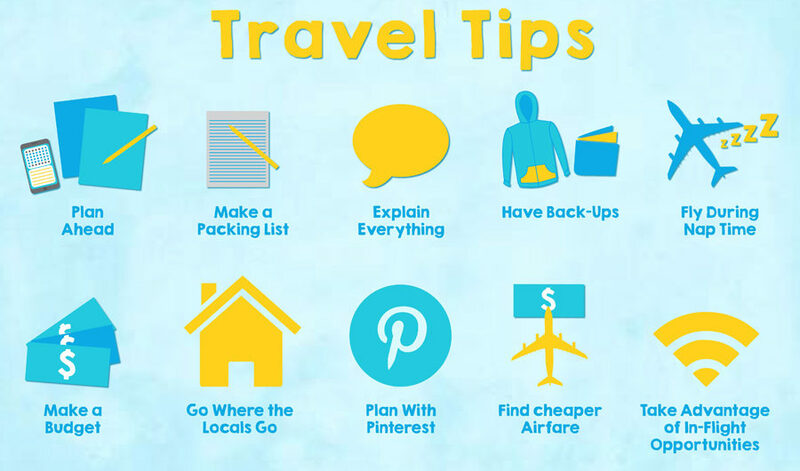 We share travel stories and give advice. Nepal travel blog featuring interesting travel articles, travel & Tour journals, revealing posts, Everest base camp blog, trekking in Nepal information and photographs. When is the best time to trek Nepal is a tricky question; the summer monsoon (June – Sept), though brings growth and freshness, but is sadly best avoided by trekkers. Nepal might be one of the smallest countries in the world, but it is also the land of the extremes. 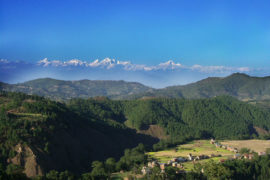 The country’s terrain ranges from the fertile Terai region at 700 meters to the highest point on earth, the Everest at 8848 meters. This diversity also applies to the weather pattern or the seasons of the country. The Terai region of the country is humid for most of the year where the temperature can rise up to 45 degrees Celsius during summer. The middle hilly region has a moderate climate with pleasant weather all year around. The northern Himalayan region has an alpine climate with very cold winters and huge drops in temperature over 3300 meters. There are two main trekking seasons in Nepal: the spring, late March and April, which is beautiful because the rhododendrons and other flowers are in full bloom and the days are longer, and autumn, which starts in late September through to early November. The autumn is colder and the days are shorter, but you get much better clarity with really clear skies. November and December are perfectly good skies for trekking, but it will be colder; the upside is that the normally very busy trails, like Annapurna Base Camp and Everest Base Camp, will be much less busy then. Technically you can go trekking in Nepal at any time of the year. There are no restrictions. However, each season in Nepal will deliver a different looking landscape, environment and experience. 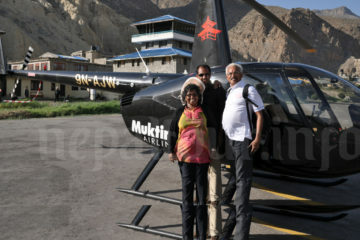 Trekkers in spring enjoying Upper Mustang Trekking. You’ll also need to prepare a little bit differently depending on what month or season you planning to go trekking (don’t worry we cover that here along with climate change issues). The most popular times with optimal trekking experiences are divided into four “peak seasons”. Autumn season is considered as the best trekking season for the trekking in Nepal. September, October and November are fall in this trekking season in Nepal. During in this season offers excellent weather and tantalizing mountain views. Temperature is moderate, making it a good time for any trekking. The sky is generally clear with outstanding views. Occasionally short storms may dump considerable snow at high altitudes. Generally, the days are clear in winter season in Nepal. December, January and February months are cold days in mountain. In winter season in Nepal is usually snow fall in the higher elevations with risk winds and colder temperatures. Hence is ideal for trekking in the lower elevation. If you are looking for suitable and incredible scenery, this is a great time to Trek in lower elevations. June, July and August months are main rainy season in Nepal and involves monsoon with heavy rainfall which makes trekking conditions unfavorable.This season is ideal time for trekking and tour to Tibet however, in some Trekking regions of Nepal connecting to Tibet and desert parts of Nepal like Mustang, Nar-Phu valley and Dolpo region are best season to do trekking which is summer trekking a great alternative behind the Himalayas rain shadow area. There are two major factors to weigh as you decide when to go to Nepal: crowds and weather. 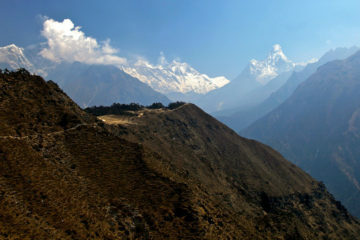 As a general rule, the better the weather, the more people come to Nepal to go trekking. 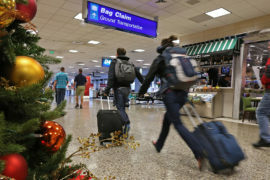 During the high tourist season in October and November, flights and hotels are fully booked and hotels and trails in the hills can be horrendously busy. During autumn the nights are cold in the mountains, but the bright sun makes for pleasant day temperatures – in the high 20s° C, falling to 5° C at night, between 2500 meters and 3500 meters. At higher altitudes temperatures range from about 20° C down to -10° C. Mornings are usually clear with clouds building up during the afternoon, disappearing at night to reveal spectacular starry skies. Whilst it’s possible to trek all year-round in Nepal, the best time to trek Nepal is in the peak seasons as they are warmer and provide the best opportunity for clear vistas. If you don’t like the thought of the crowds then we would suggest taking other less-trodden routes such as the Gokyo Lakes Trek to Everest Base Camp. Most tour companies will not trek during the off-peak seasons and you will need to find alternative guidance. At Nepal Tours, we can arrange private treks during the off-peak seasons but would advise only experienced trekkers to trek Nepal in the winter period as the temperatures get very low and many routes will be snow covered. Click here for a detailed weather forecast for Nepal. An Everest Base Camp trek offers the perfect trifecta as far as adventure travel goes. Big mountains, incredible culture, and for most people, a decent physical challenge that leaves you feeling proud and in better shape than when you started. There are three different permits you need to Everest Base Camp Trek. Trekkers Information management System (TIMs), Sagarmatha National park entry permits and another one is Khumbu Pasang Lhamu Rural Municipality fee. There are two ways to go about your trek to Everest Base Camp: Independent or Guided, and both options offer their pros and cons. Everest Base Camp trek planning can be a lot of work – from permits, accommodations, transportation, and more – there are a lot of logistics to consider before and during your trek. Everest Area Type: National Park Trekking routes in the Everest region lie within Sagarmatha National Park. Foreigners are required to obtain a Sagarmatha National Park entry permit as well as a TIMS card to trek in the Everest Region. Permits and Fees in the Everest Region: Sagarmatha National Park entry permit fee for foreigners: 3,000 NPR + 13% VAT, totaling 3,390 NPR (Approx. US $34). Sagarmatha National Park entry permit fee for SAARC nationals: 1,500 NPR Khumbu Pasang Lhamu Rural Municipality of Solukhumbu district has started levying entrance fee of Rs 2,000 (approximately $20) on every foreigner entering the rural municipality from October 1, 2018 TIMS permit: 2,000 NPR (Approx. US $20) Where to get the permit for Everest Basecamp Trekking: Sagarmatha National Park entry permit can be purchased in the Nepal Tourism Board Office on Pradarshani Marg, Kathmandu, Tel: +977 1 4256909. While Khumbu Pasang Lhamu Rural Municipality fee needs to be deposited at the Lukla Check Post. Contact [email protected] if you wish assistance from us at extra 10% Service fee. There are three different permits you need to Everest Base Camp Trek. Trekkers Information management System (TIMs), Sagarmatha National park entry permits and another one is Khumbu Pasang Lhamu Rural Municipality fee. There are two ways to go about your trek to Everest Base Camp: Independent or Guided, and both options offer their pros and cons. 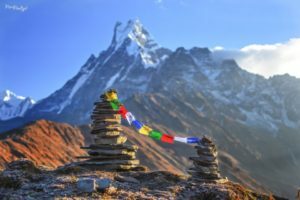 Everest Base Camp trek planning can be a lot of work – from permits, accommodations, transportation, and more – there are a lot of logistics to consider before and during your trek. National Park Trekking routes in the Everest region lie within Sagarmatha National Park. Foreigners are required to obtain a Sagarmatha National Park entry permit as well as a TIMS card to trek in the Everest Region. Sagarmatha National Park entry permit can be purchased in the Nepal Tourism Board Office on Pradarshani Marg, Kathmandu, Tel: +977 1 4256909. While Khumbu Pasang Lhamu Rural Municipality fee needs to be deposited at the Lukla Check Post. Contact [email protected] if you wish assistance from us at extra 10% Service fee. Certain parts of Jiri to Everest Base Camp is protected under Gaurishankar Conservation Area Project. So you need to obtain the entry permit. 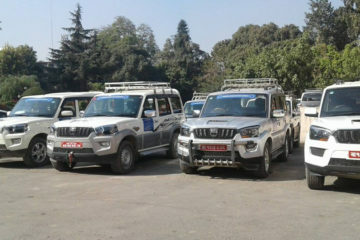 It will cost Rs 3000 for both organized and independent trekker and you have to issue this in Tourism Board Kathmandu. Come! Let’s explore the Everest region! 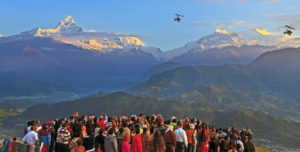 Pokhara is one of the most popular tourist destinations in Nepal. Many tourists visit Pokhara Valley to see the Himalayan range and lakes. 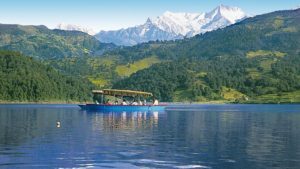 Pokhara is also famous for boating, trekking, rafting, ultralight flight, paragliding and extreme sports like whitewate rafting, canoying and bungee jumping. Pokhara is one of those charming cities that always attracts travelers where you can easily stay longer than you planned. Located on the banks of Lake Phewa, the city is surrounded by impressive mountains and peaks, with some of the best trekking routes in the world. In addition to stunning hikes and lakes, this popular destination has a wide range of culture and leisure activities, such as markets, pagodas, cafés and restaurants offering delicious Nepalese food. The Constitution of Nepal, adopted in 2015, establishes Nepal as a federal secular parliamentary republic divided into seven provinces. Nepal was admitted to the United Nations in 1955, and friendship treaties were signed with India in 1950 and the People’s Republic of China in 1960. Nepal hosts the permanent secretariat of the South Asian Association for Regional Cooperation (SAARC), of which it is a founding member. Nepal is also a member of the Non Aligned Movement and the Bay of Bengal Initiative. The military of Nepal is the fifth largest in South Asia; it is notable for its Gurkha history, particularly during the world wars, and has been a significant contributor to United Nations peacekeeping operations. Nepal Tourism Board is a national tourism organization of Nepal established in 1998 by an Act of Parliament in the form of partnership between the Government of Nepal and private sector tourism industry to develop and market Nepal as an attractive tourist destination. The Board provides platform for vision-drawn leadership for Nepal’s tourism sector by integrating Government commitment with the dynamism of private sector.NTB is promoting Nepal in the domestic and international market and is working toward positioning the image of the country.It also aims to regulate product development activities. 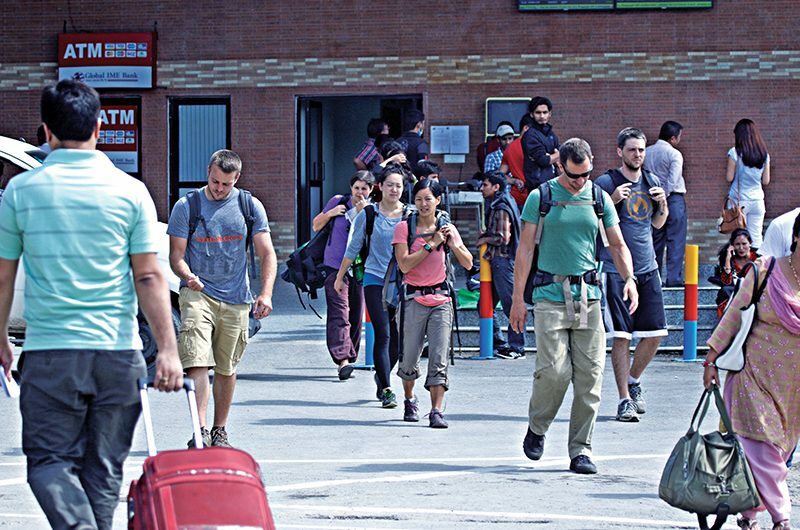 Fund for NTB is collected in the form of Tourist Service Fee from departing foreign passengers at the Tribhuvan International Airport, Kathmandu, thus keeping it financially independent. The Board chaired by the Secretary at the Ministry of Tourism and Civil Aviation consists of 11 Board Members with five Government representatives, five private sector representatives and the Chief Executive Officer.“Naturally Nepal, Once is not Enough” is the tourism brand of Nepal.”Naturally Nepal” is a simple expression that repackages the Nepal brand in a positive light. “Once is not Enough” not only accurately captures the tourists’ emotions at the airport’s departure gate but also serves as a decision tool that enables the Nepali tourism industry individually and collectively to focus both on consumer retention and acquisition. (Phone: +97714256909, Fax: +977 1 4256910.
provides brochures and free posters on Nepal from Monday to Thursday from 9 am to 5 pm. On Fridays, it closes at 3 pm. The department stays open until 4 pm in winter. Other tourism information center locations are listed below with phone numbers. 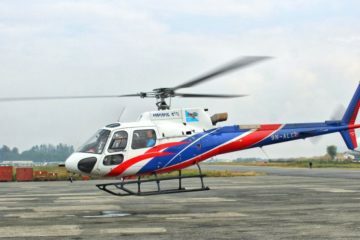 Tourist Police Nepal was established in 1979 AD as a special unit of Nepal Police working under Ministry of Culture, Tourism and Civil Aviation, Tourism Industry Division. Tourist Police today has the strength of 227 Officers working under the Supervision of Police Inspector and has 24 units spread throughout the country including 9 units inside the Kathmandu valley and 15 units outside the valley in 11 different districts. The Central Office is situated inside the Premises of Nepal Tourism Board, Bhrikutimandap Kathmandu Nepal. Since its inception, the tourist police have been active in facilitating tourists and delivering security services. Best Nepal Tour Packages @ Nepal Tours. Get best deals if you are in Chennai, Bangalore & Kerala on your next Nepal tour. Explore the best of Nepal packages & make your Nepal trip a memorable one. Uncover new and exciting adventures in Nepal by taking part in our small group tours. Go sightseeing at your own pace surrounded by travellers like you. 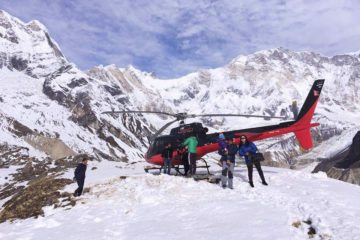 Provided by top tour operator & travel company, our small group tours in Nepal will offer you the perfect balance between spending time on your own and group activities. Join one of our Nepal group tours and it will leave an unforgettable impression on you. While travelling through Nepal. 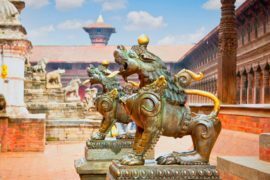 Nepal Tours, its towering mountains and verdant valleys, its ancient cities, villages and exotic peoples, fascinate the world. Through the years Adventure Connexion has developed a low altitude, comfortable, and less physically challenging Nepal trekking tour (at 7,500 feet instead of 14,000 feet!) just perfect for women who wish to experience the splendor of the Himalayas and explore this ancient culture. 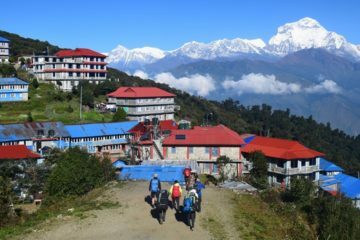 Our trekking trip in Nepal’s Himalaya Mountains is lodge-based (instead of a camping trek), which allows for an easier pace and produces less impact on trails from porters and pack animals. The Nepalese lodges we stay in are of modern construction in traditional style. All have private rooms and en-suite bathrooms, and offer excellent local food. 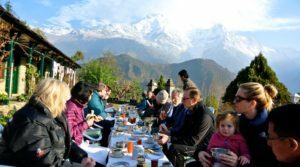 A Nepal small group holiday means you can really relax and hand over to a tour leader packed full of local knowledge and privy to all of Nepal’s hidden gems and secret celebrations. Whether you’re travelling solo or with a friend, a small group tour offers the opportunity to travel safely and in like-minded company. With an average of around 12 to 16 people per group, all our tours are led by experienced, often local guides who will take you off the beaten track, to spots you’d find it hard to reach on your own. Most tours also include some free time to for you to explore yourself. All group tours include accommodation (hotels, homestays, overnight trains) and transport during the tour (local buses, trains, boats or private minibus), plus some meals, so they’re a convenient way to see as much as possible and make it easy to budget for your trip. Below is a sample of the small group tours we offer; for more ideas or to book, call us or request a quote by email. Read more best group tour & holiday packages in Nepal. Travel on a small group holiday & experience trekking in Nepal. Trekking in Nepal has always an exciting and one of the favorite destination for all adventure enthusiast. Talking about the trekking in first time anyone suggest obviously Annapurna Base camp. 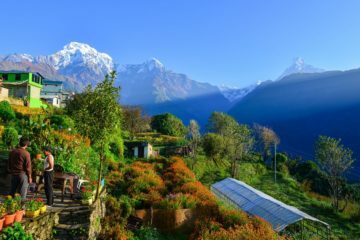 A journey to Annapurna base camp offers the majestic Himalayan views, unique Gurung settlement, beautiful rhododendron forest with mountain lifestyle of locals, culture and tradition of Nepal. If you looking for this amazing trek to Annapurna Base Camp for your next holidays then following tips are useful for you. #1. Best Season to go. We experiences major four season in Nepal throughout the year. They are summer (JUNE – AUGUST), Winter (DECEMBER – FEBRUARY), spring (MARCH TO MAY), and autumn (SEPTEMBER – MID DECEMBER). Choosing a best season for your holiday offers you more glimpse and pleasure. 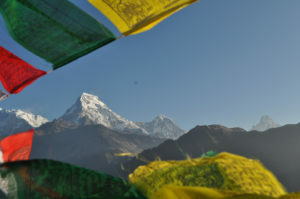 The best season for Annapurna base camp trekking is during spring (March – April) and autumn (October – December). Spring is offers the blooming Rhododendron as the trail is more attractive where all the trails turns into red pink and white flowers. However in autumn the skies are clear and snowcapped mountain views are amazing. While trekking above 3000 meter altitude, some people might suffer from altitude sickness. Normally altitude sickness occurs when your body do not adjust in high elevation where the oxygen level is very low. Symptoms of altitude sickness includes headache, vomiting, loss of sleep etc. If you get such Symptoms then you have immediately consult with your guide. 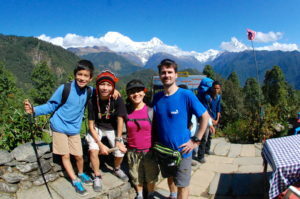 Guides are well trained and experiences for altitude trekking and sickness problems. Drink lots of waters as you can, eat your foods full each time, do not drink alcoholic beverages, can avoid the chances of sickness in Himalayas. Even though, if you feel such sickness you can use medicine like Diamox which can avoid sickness and help to go high elevation. The nest important things is when you are going up don’t skip acclimatization because slowly and proper acclimatization adjust your body in high altitude. 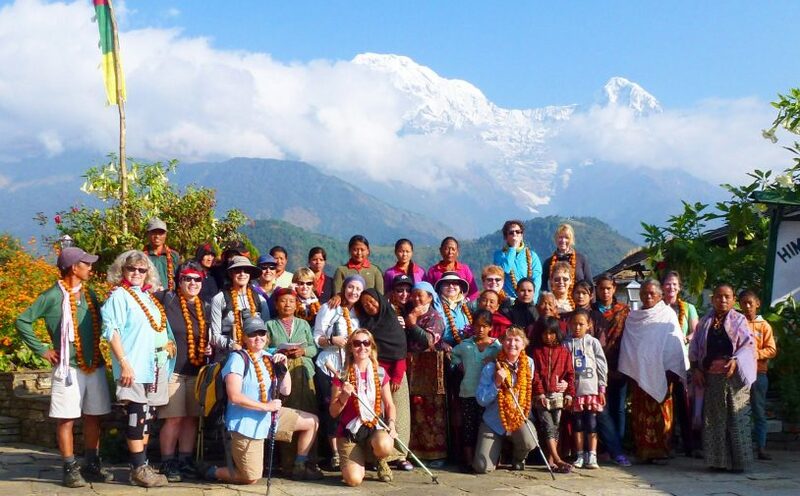 Annapurna base Camp trekking is a moderate walk through the foothill of Annapurna Massif. It is not technical climb, you do not need to have previous experience even any altitude experiences to complete the trek. However, you have to physically fit and excellent strength, conditioning and endurance to be able to reach the base camp. So, we recommended to do some walking, cycling and other physical exercise before you coming Abc trek. Normally you must capable for 5/6 hours walking each days during the trek. With the physical fitness, mentally prepare is also important for outdoors. Because there are no star levels hotels for your comfortable. You have to adjust local tea houses with sharing Bathrooms and eat the foods which are available in tea houses menu. So you do need to be prepared yourself for these things. As we already told you Annapurna base camp is a moderate trekking in Annapurna massif. However, to make a successful trek you should have proper trekking equipment which are most important. Among trekking gears proper hiking boots, a good down Jackets, trousers are most significant. Other gears besides are warm clothes, hiking poles, sun hat, Sunglass, gloves, comfortable trousers, warm sleeping bag are also important to have a successful and pleasant trekking to ABC. If you are coming to Nepal first time for an adventure or you have never trekked before then we suggest to do a organize trek in Nepal. Your porter carry your all luggage except your day pack which you need for walking. A experience English speaking guide is always with you for your inconvenient and always responsible for any obstacles. Moreover a organize trek will save your time and you don’t need to take unnecessary headache for arrangements such as accommodation, vehicle, flights etc. Are you thinking any Trip to Nepal Cost can be a daunting task. Where to start? How to budget? Where to go? What to do? What do you need to prepare? The good news is everything you need to plan your trip to Nepal is on Nepal Visitors. Nepal’s tourism is largely centred around trekking and it does attract a fair amount of wealthy visitors as well as backpackers. As a result there are facilities to cater for them in some areas, which can provide you with some temptation to stray above $30/day. By extending your budget to $40 you can add a little bit of luxury into your trip by staying in nicer hotels and dining out at more tourist-geared restaurants from time to time. It will also give you more room to do extra trips and visit more of the best trekking trails, which typically cost $30 to enter. How much money will you need in Nepal? NRS 3,902 ($38) is the average daily price for traveling in Nepal. The average price of food for one day is NRS 1120 ($10.60). The average price of a hotel for a couple is NP₨2,818 ($27). These average travel prices have been collected from other travelers to help you plan your own travel budget. However if you are looking for more organised trekking expeditions, which is highly recommended if you’re not experienced, then even this budget won’t cover for that. The Trip to Nepal Cost can be quite high for guided trips and to reach the highest points in the Himalayas, it will take many days, which clearly is going to be quite expensive. If trekking is likely to be the main or a major focus of your trip then use these budgets for the days you won’t be trekking and find a good company for the days you will and research the costs in advance. Here are 5 of the best short treks in Nepal along with an idea of the pricing. UNESCO protected Durbar Square is a popular spot when backpacking Nepal. A square filled with history of rulers and royalty (Durbar literally means palace). Many of the buildings around the square are actually older than the square itself; Kasthamandap is the oldest building in the valley, at three stories and made out of wood it’s a beautiful ancient sight to awe at. You can easily spend a day wandering the streets, exploring the temples, people watching and enjoying a refreshing beer on one of the rooftop cafes. Don’t leave Kathmandu without spending some time at the Hanuman Dhoka. Nepal’s Royal palace has some incredible history; founded in the 4th to 8th centuries AD and then expanded to what it is now in the seventeenth century by the king. You can easily spend a day exploring the sprawling palace and it’s 10 courtyards. Plus it is free to enter if you have a ticket to visit Durbar Square! Sadly the palace felt the effects of the 2015 Earthquake and some areas are undergoing repairs. Don’t let this stop you from visiting, most of the palace is now accessible and restored to its previous beauty.